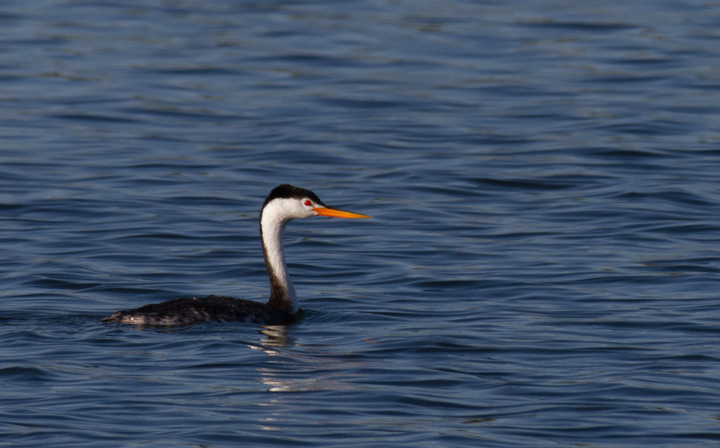 October in Southern California - Page 6. 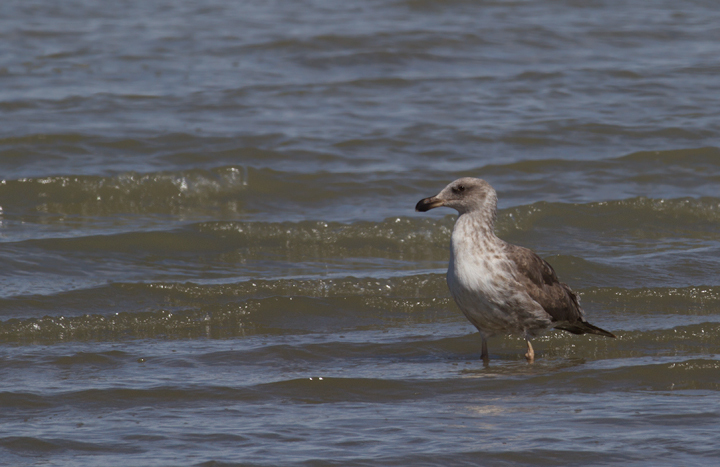 Last updated: 1/8/2012. 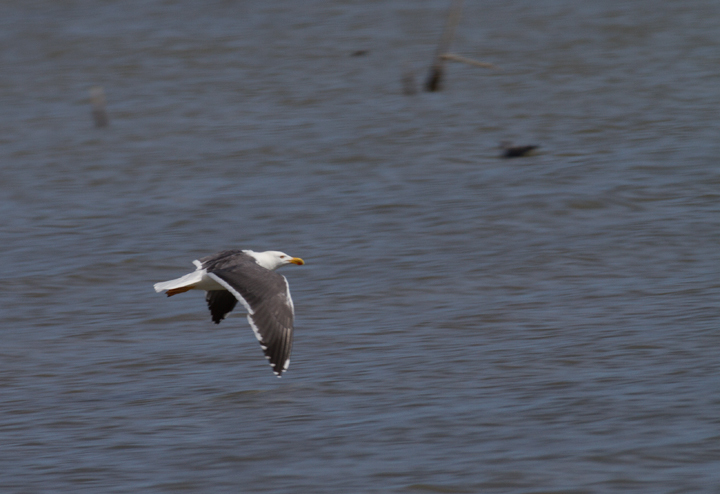 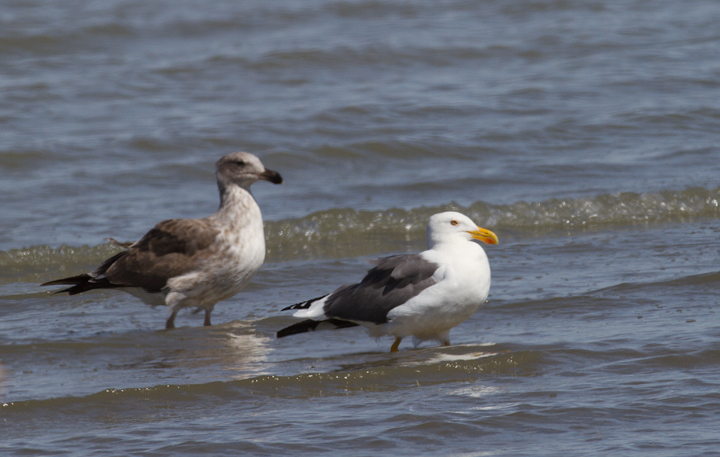 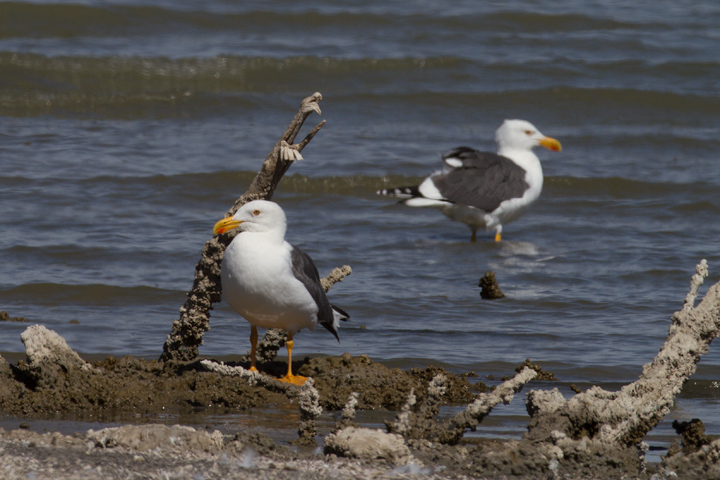 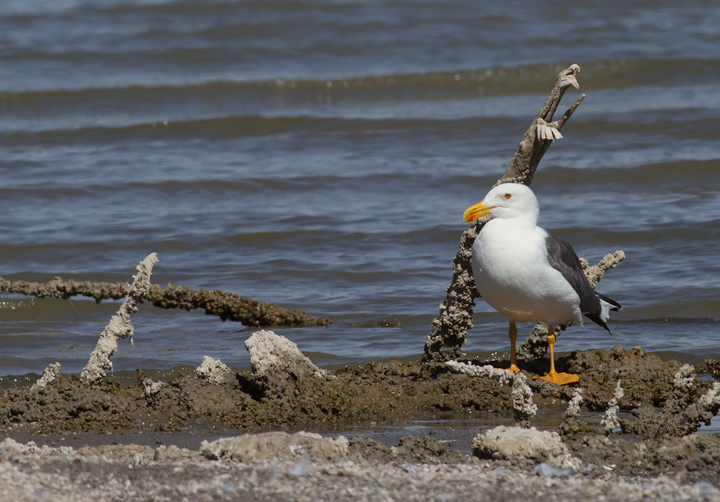 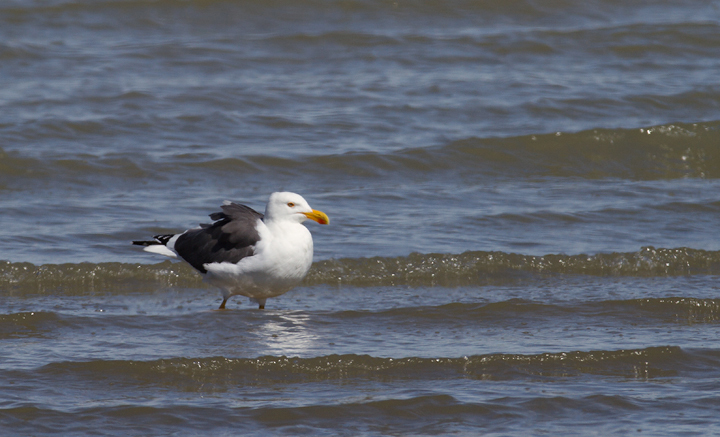 Above and below: Yellow-footed Gulls near the southern end of the Salton Sea, California (10/9/2011). 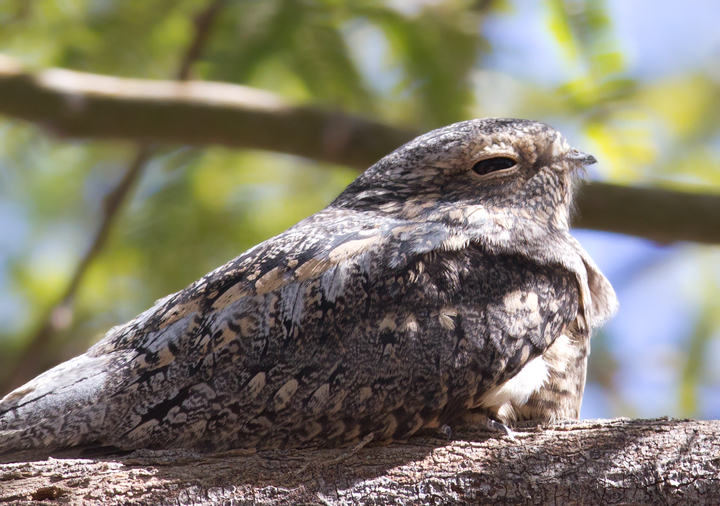 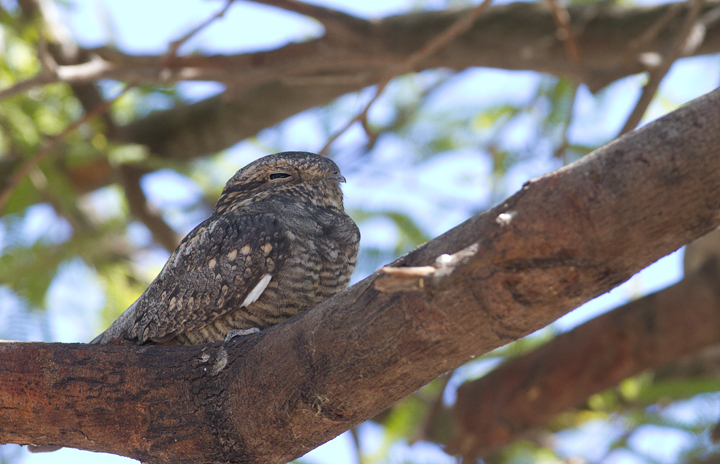 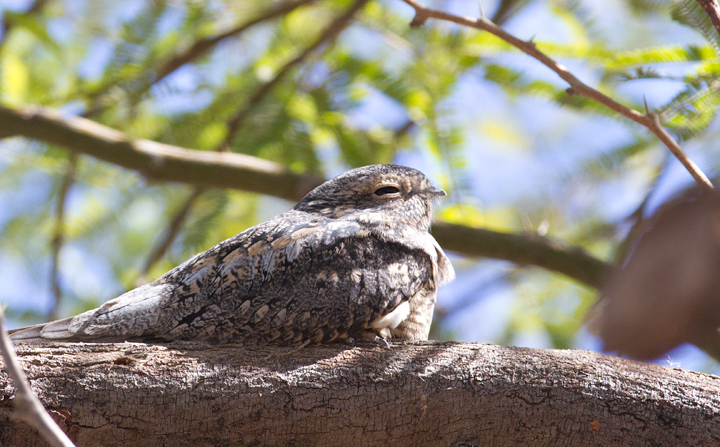 Below: Lesser Nighthawks roosting in a small oasis near the Salton Sea, California (10/9/2011). 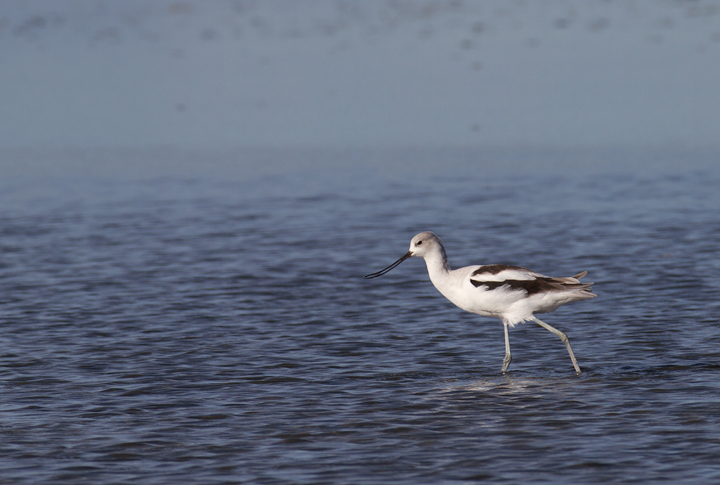 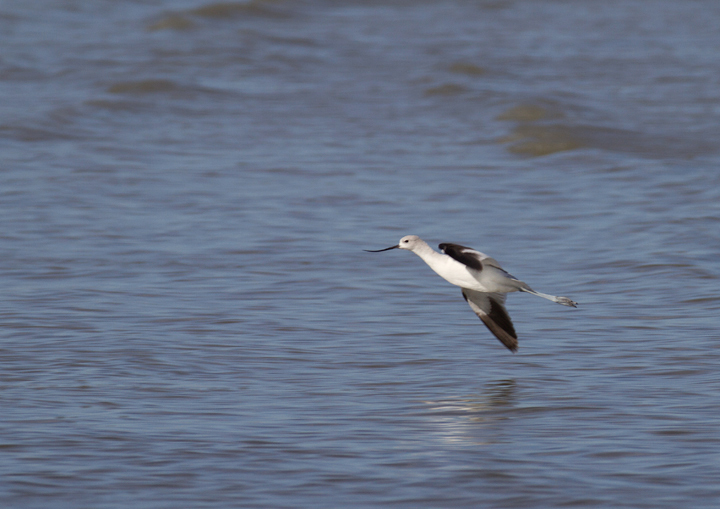 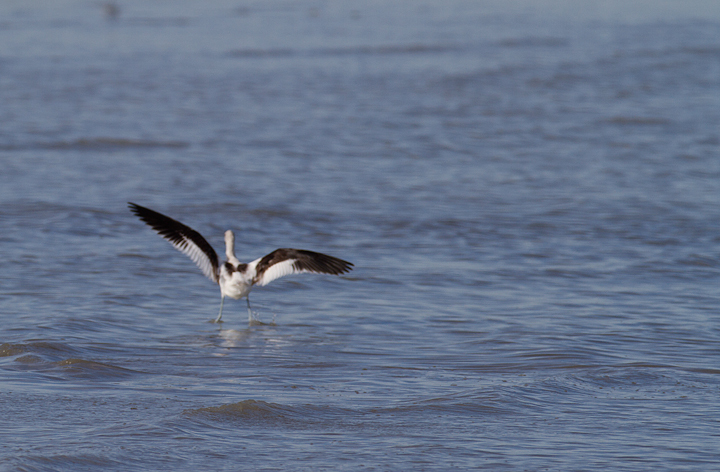 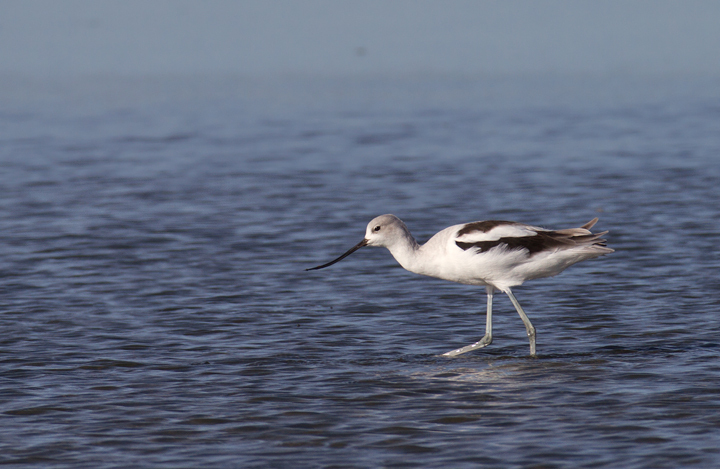 Below: An American Avocet at the Salton Sea, California (10/9/2011). 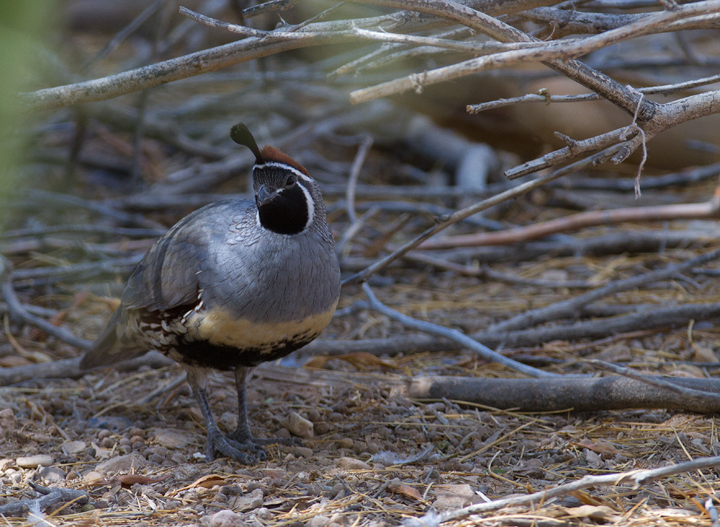 Below: A Gambel's Quail near the Salton Sea, California (10/9/2011). 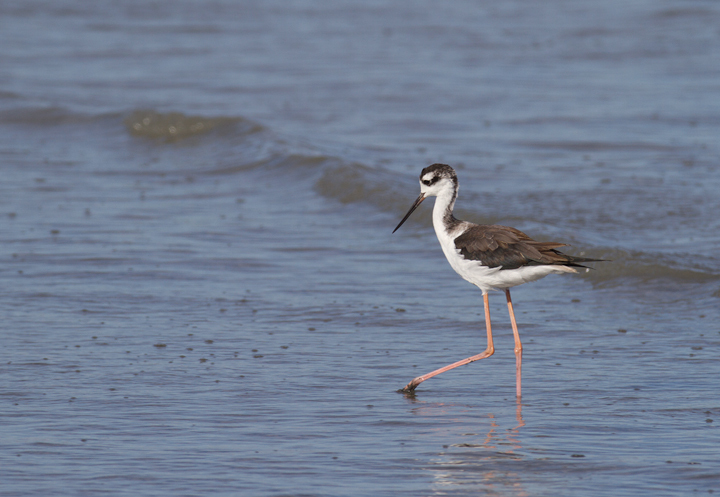 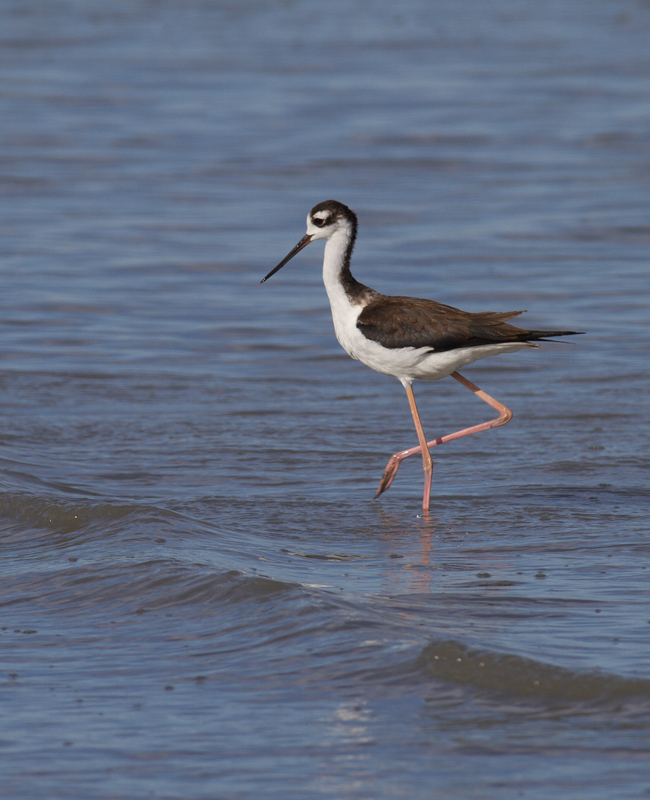 Below: A Black-necked Stilt at the Salton Sea, California (10/9/2011). 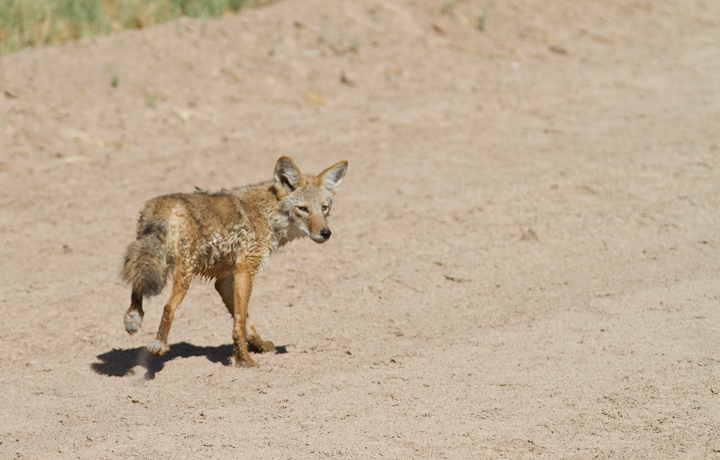 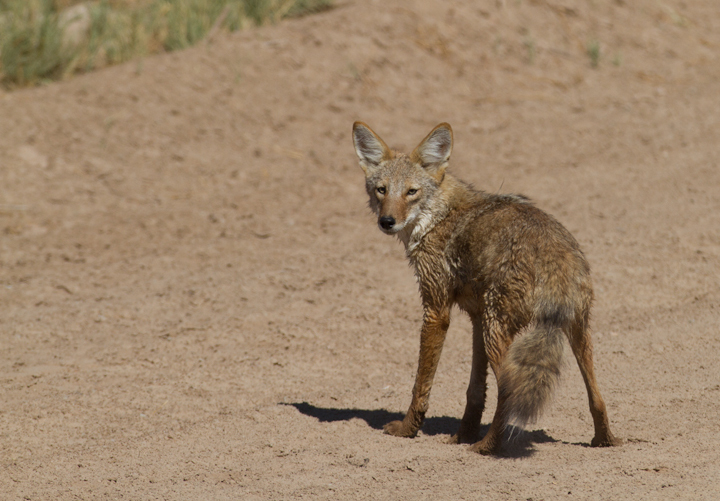 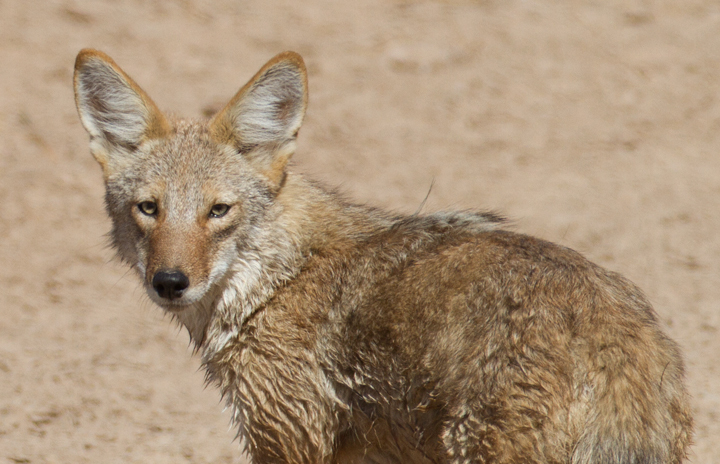 Below: A Coyote near the Salton Sea, California (10/9/2011). 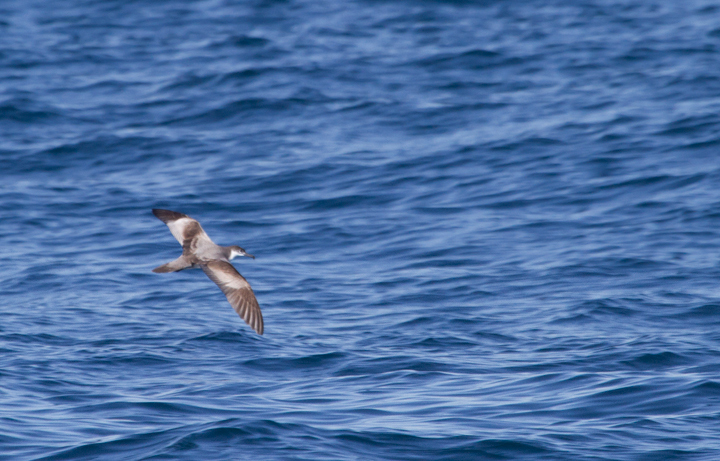 Below: A Buller's Shearwater on a San Diego pelagic (10/8/2011). 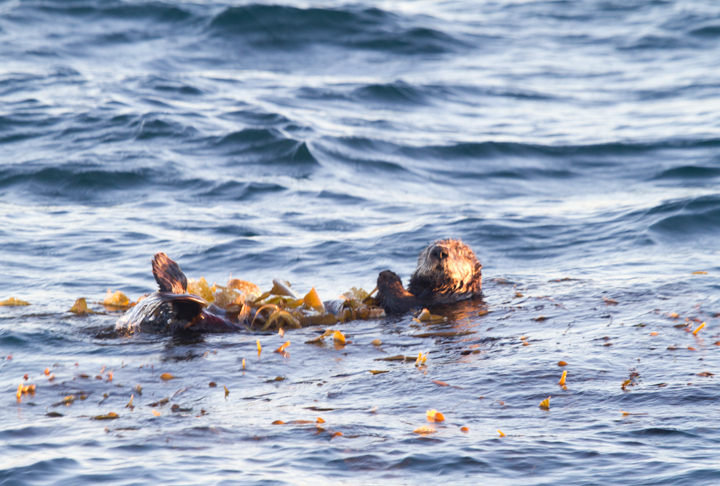 Below: This Sea Otter was by far the rarest sighting on our San Diego pelagic. 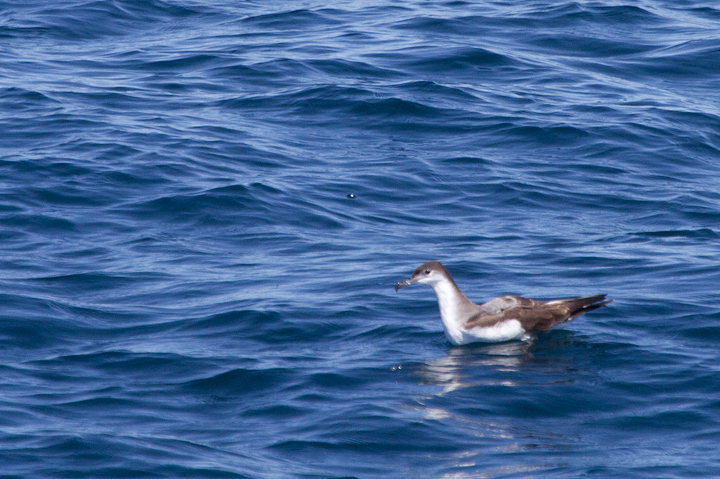 It was spotted in the kelp off Point Loma on our way back to the harbor (10/8/2011). 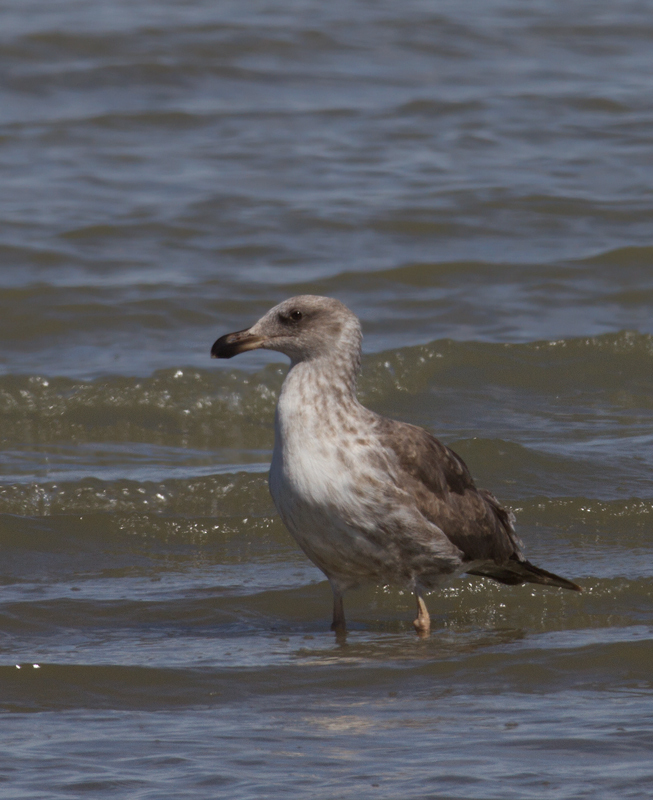 It's one of only a couple sightings this far south in the last 20 years! 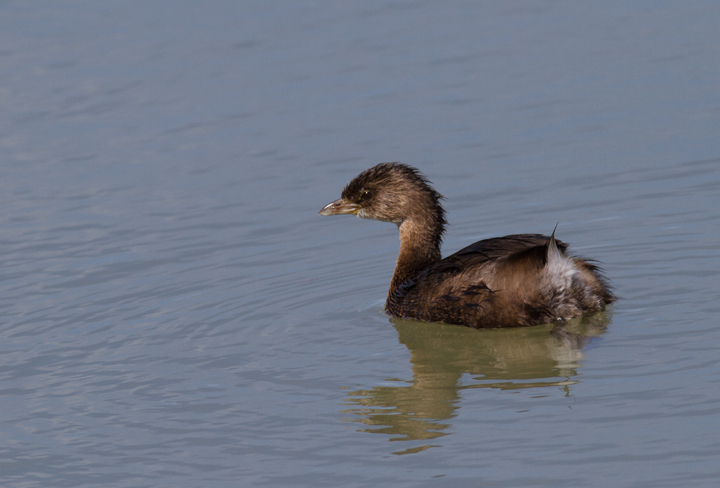 Below: A Pied-billed Grebe near the Salton Sea, California (10/9/2011). 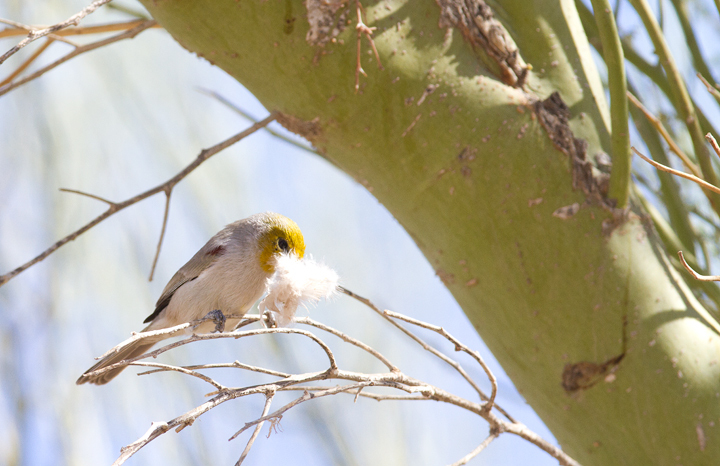 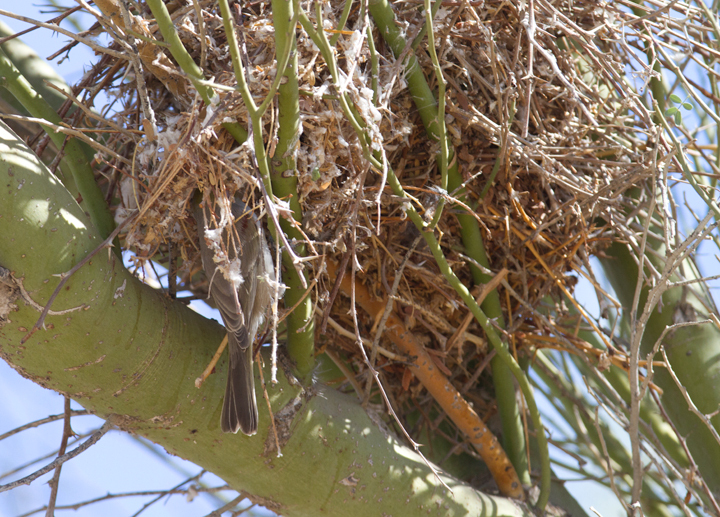 Below: A Verdin nesting near the Salton Sea, California (10/9/2011). 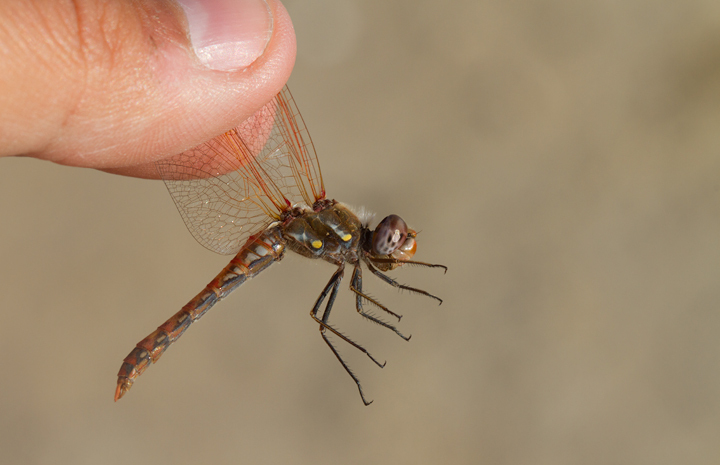 Below: A Variegated Meadowhawk near the Salton Sea, California (10/9/2011). 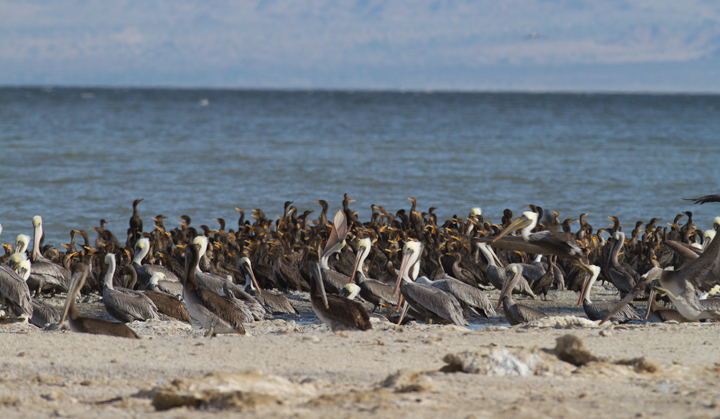 Below: An impressive concentration of Brown Pelicans and cormorants on the southern end of the Salton Sea, California (10/9/2011). 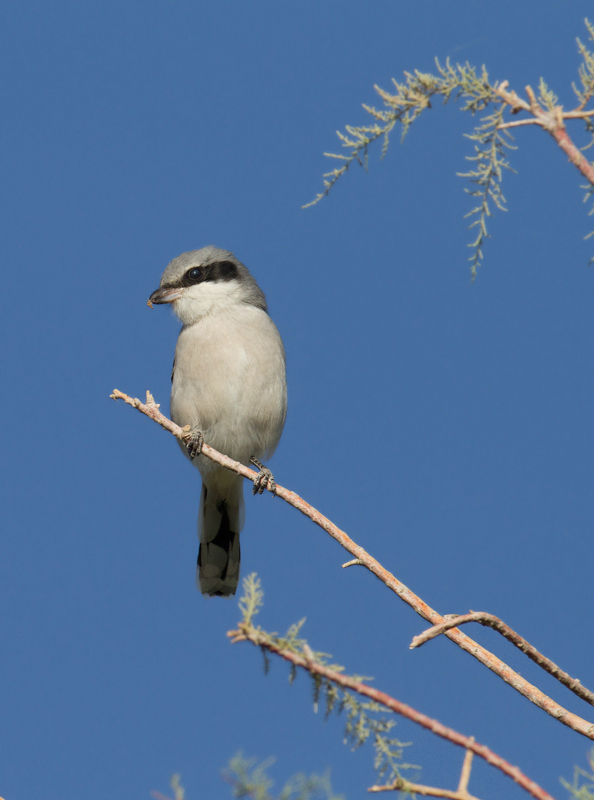 Below: A Loggerhead Shrike near the Salton Sea, California (10/9/2011). 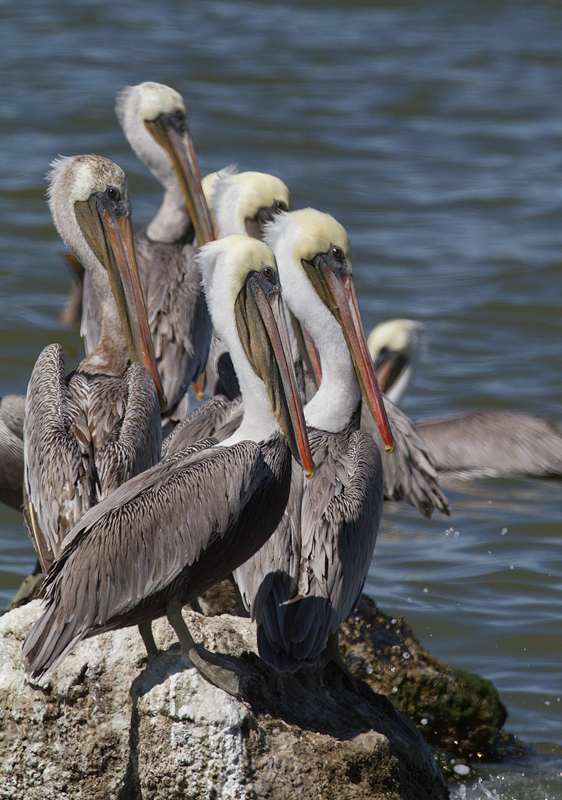 Below: Brown Pelicans at the Salton Sea, California (10/9/2011). 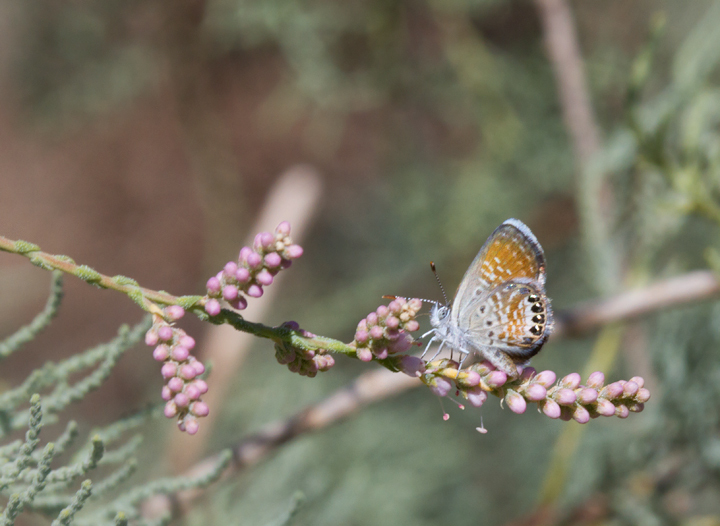 Below: A Western Pygmy-Blue near the Salton Sea, California (10/9/2011). 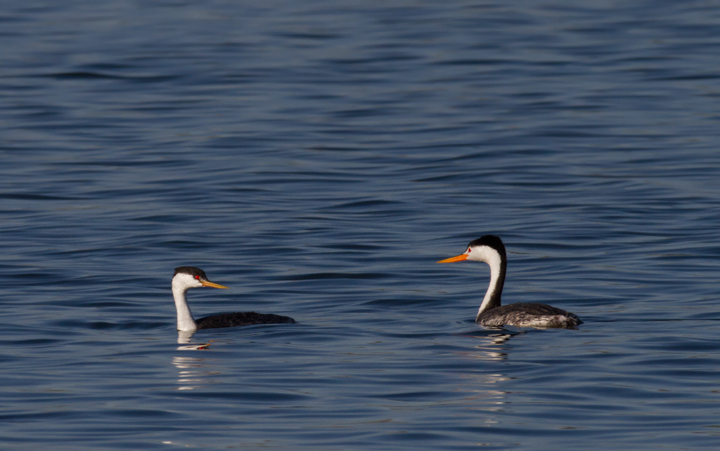 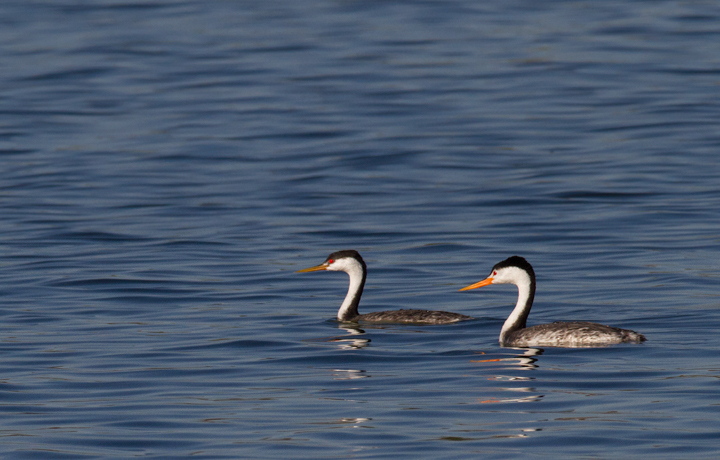 Below: A nice comparison of Western (left) and Clark's Grebe (right) near the Salton Sea, California (10/9/2011). 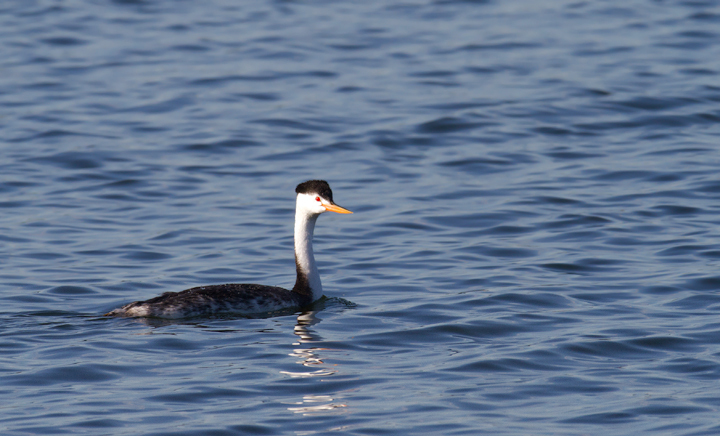 Below: A Clark's Grebe at Ramer Lake near the Salton Sea, California (10/9/2011). 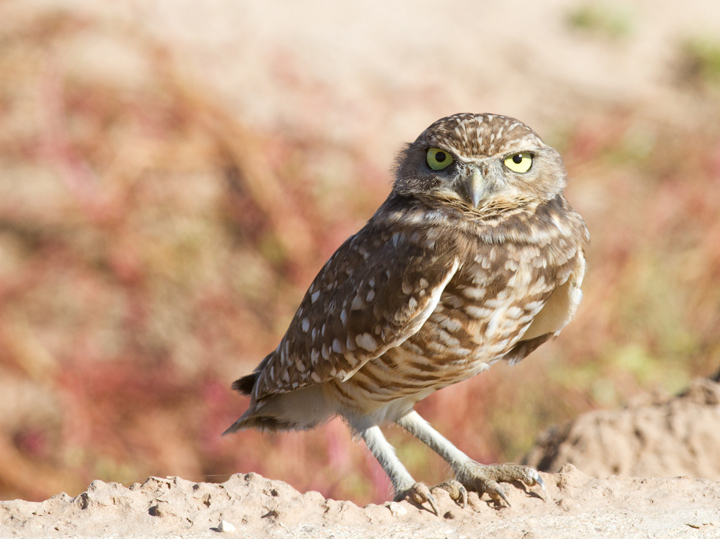 Below: One of my favorite things about visiting the Salton Sea - a Burrowing Owl (10/9/2011).